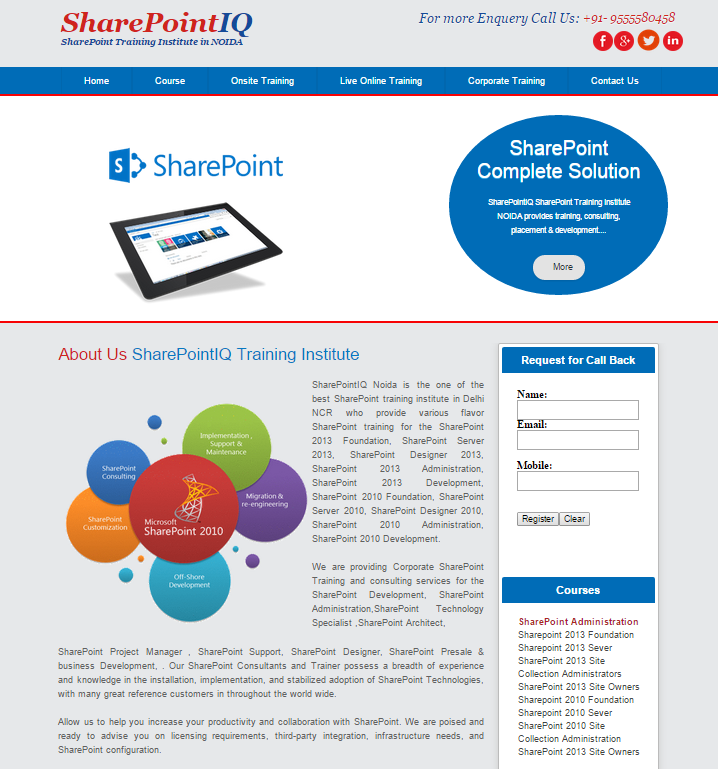 SharePointIQ Delhi is the one of the best SharePoint training institute in Delhi who provide various flavour SharePoint training for the SharePoint 2013 Foundation, SharePoint Server 2013, SharePoint Designer 2013, SharePoint 2013 Administration, SharePoint 2013 Development, SharePoint 2010 Foundation, SharePoint Server 2010, SharePoint Designer 2010, SharePoint 2010 Administration, SharePoint 2010 Development. 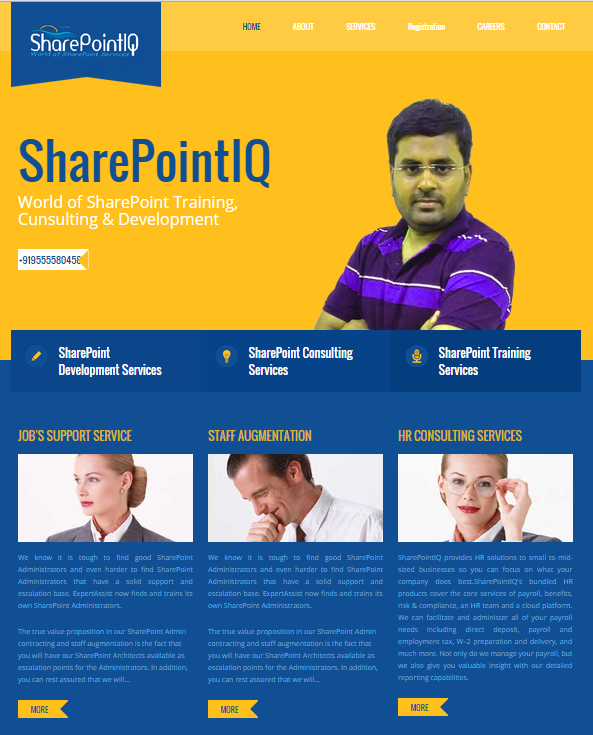 We are providing Corporate SharePoint Training and consulting services for the SharePoint Development, SharePoint Administration,SharePoint Technology Specialist ,SharePoint Architect, SharePoint Project Manager , SharePoint Support, SharePoint Designer, SharePoint Presale & business Development, . Our SharePoint Consultants and Trainer possess a breadth of experience and knowledge in the installation, implementation, and stabilized adoption of SharePoint Technologies, with many great reference customers in throughout the world wide. 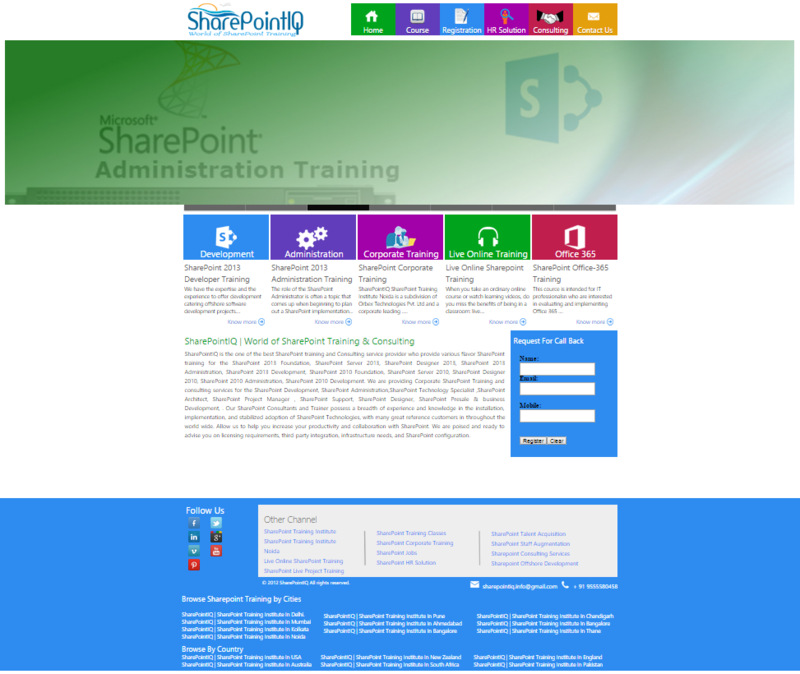 Allow us to help you increase your productivity and collaboration with SharePoint. We are poised and ready to advise you on licensing requirements, third-party integration, infrastructure needs, and SharePoint configuration. This moduleintroduces the architectural features that underpin Microsoft SharePoint Server2013, both for on-premises and online deployments. This includes an examinationof the features that are new in this version, as well as those that have beenremoved. This module reviews the basic structural elements of a farmdeployment, and the different deployment options that are available inSharePoint 2013.
ü Describe the architecturalfeatures of SharePoint Server 2013.
ü Identify new and deprecatedfeatures in SharePoint 2013.
ü Describe the editions forSharePoint Server 2013 on-premise and SharePoint Online. This moduleexamines high availability and disaster recovery in SharePoint 2013. Whendesigning high availability and disaster recovery strategies for a SharePointfarm, it is important to understand the different approaches required by eachlogical tier in the farm. High availability for the database tier requiresunderstanding of how SQL Server provides high availability and the associatedrequirements. High availability for the application tier can be straightforwardfor some service applications, while other applications, such as Search,require additional planning and configuration for high availability. The webfront end tier will also require additional planning and configuration for highavailability, and architects should consider the new SharePoint 2013 requestmanagement feature. SharePoint farm disaster recovery has always requiredconsiderable planning and understanding of the necessary components and backuptools available. In this regard SharePoint 2013 is no different, and farmadministrators should create a disaster recovery plan that states how contentand configurations are backed up, how data can be restored, and what backupschedules are required. ü Select an appropriate databaseserver configuration to meet availability requirements. ü Design a physical architectureand infrastructure to meet availability requirements. ü Develop and implement a backupand restore strategy. Serviceapplications were introduced in SharePoint 2010, replacing the Shared ServiceProvider architecture of Microsoft Office SharePoint Server 2007. Serviceapplications provide a flexible design for delivering services, such as managedmetadata or PerformancePoint, to users who need them. There are severaldeployment topologies available to you when you plan your service applicationimplementation. These range from a simple, single-farm, single-instance serviceapplication model to more complex, cross-farm, multiple-instance designs. Whatremains most important is that you create a design that matches the needs ofyour organization's users in terms of performance, functionality, and security. Thismodule reviews the service application architecture, how to map businessrequirements to design, and the options for enterprise scale, federated serviceapplication architectures. ü Explain the service applicationarchitecture. ü Describe the fundamentaloptions of service application design. ü Describe how to configure afederated service application deployment. Mostorganizations store information in a variety of disparate systems. In manycases, these organizations want to be able to view and interact withinformation from these disparate systems from a single interface. This reducesthe need for information workers to constantly switch between systems andcreates opportunities for power users or analysts to aggregate data frommultiple sources. In SharePoint2013, Business Connectivity Services (BCS) is a collection of technologies thatenable you to query, view, and interact with data from external systems. Inthis module, you will learn how to plan and configure various components ofBCS. ü Plan and configure the BusinessData Connectivity Service application. ü Plan and configure the SecureStore Service application. ü Manage Business Data Connectivitymodels. Talking aboutconnecting people in Microsoft SharePoint Server 2013 really means talkingabout taking people out of their isolated workspaces and giving them theability and tools to collaborate with other people in the organization such astheir work colleagues, peers, and executives. It is about finding people withexpertise, and identifying shared interests and about creating networks ofpeople that share common goals. 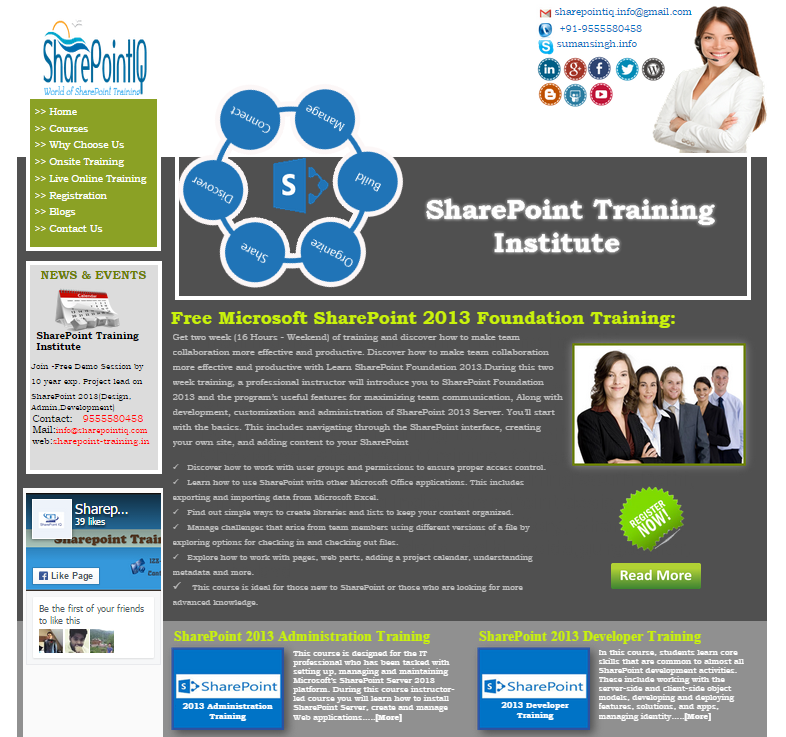 In thismodule, you will learn about the concepts and ways of connecting people inSharePoint 2013. You will examine user profiles and user profilesynchronization, social interaction features and capabilities, and communitiesand community sites in SharePoint 2013.
ü Understand and manage userprofiles and user profile synchronization in SharePoint 2013.
ü Enable social interaction inSharePoint 2013. This moduleexamines how SharePoint 2013 extends the ability of users to workcollaboratively and increase productivity through seamless integration withexternal software platforms, additional SharePoint collaboration features, andthe provision of flexible tools, with which users can develop their ownsolutions to business problems. ü Explain how the integrationoptions for Exchange 2013 and Project Server 2013 improve task aggregation. 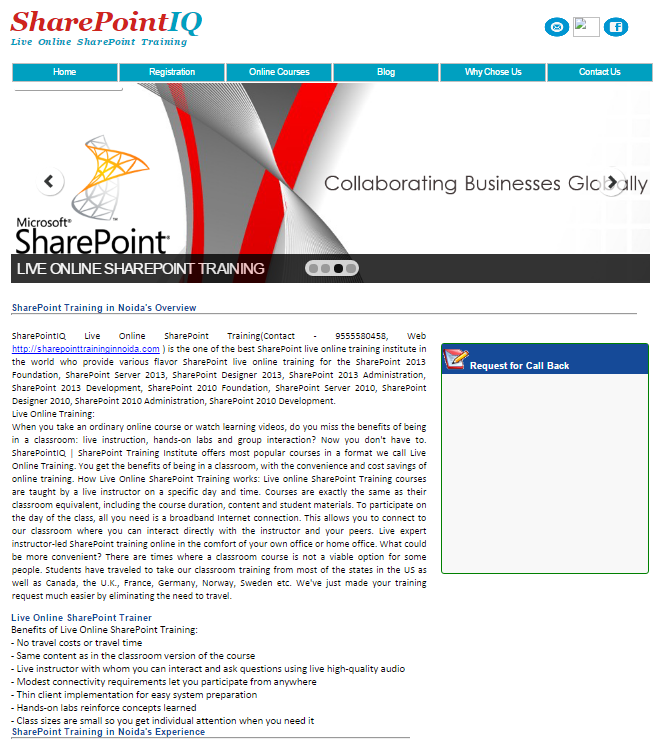 ü Describe how to plan andconfigure SharePoint collaborative and co-authoring options. ü Describe how to plan and useworkflows in SharePoint 2013. BusinessIntelligence (BI) continues to be an important area for large enterpriseorganizations. The key to successful BI is the ability to integrate the componentsthat deliver the right information, to the right people, at the right time.Microsoft SharePoint Server 2013 Enterprise Edition provides a range ofintegrated solutions that enable both users and administrators across anorganization to develop BI solutions to fit their business requirements. TheseBI tools extend beyond SharePoint to provide consistent information managementfrom personal data analysis environments, which use Microsoft Excel, through todepartmental or organizational data repositories, which use SQL ServerReporting Services (SSRS) and SQL Server Analysis Services (SSAS). In this moduleyou will see how SharePoint 2013 can deliver BI solutions for your business. ü Explain the SharePoint BIarchitecture, its components, and how to identify BI opportunities in yourorganization. ü Describe how to plan, deploy,and manage the core SharePoint 2013 BI services. ü Describe the advanced BIoptions available with SharePoint 2013 and Microsoft SQL Server 2012. The Searchservice remains a cornerstone of the SharePoint platform’s success. InMicrosoft SharePoint Server 2013 there have been major changes to thecomponents that make up the service, to increase performance andconfigurability. In thismodule, you will examine the configuration options in SharePoint Search thatenable you to provide greater search result effectiveness by fine-tuning theservice in various ways. The introduction of new functionality, such as resulttypes and the increased move towards search-driven navigation mean that therole of the Search administrator has become even more important for businesssuccess. Search now enables you to delegate more of this management to sitecollection administrator and site owner levels, improving Search flexibilitywithout increasing the administrative burden on a few Search serviceapplication administrators. Thismodule also examines Search analytics and reporting. To help you in yourmanagement of a Search environment, SharePoint 2013 now incorporates Searchanalytics and reporting into the Search service, rather than in a separateservice application, as was the case in SharePoint Server 2010. The reportsavailable will help you to monitor the service and optimize its configuration. ü Describe the Search servicearchitecture and key areas of configuration. ü Explain how to configure theSearch service to improve the end-user experience. ü Describe how to use analyticsreports to optimize your Search environment. This moduleexamines Enterprise Content Management (ECM), which is a set oftechnologies and features that administrators use to provide some control oversites and content. This could include control over how information is stored,how long information is kept, how information is visible to users while in use,and how information growth is kept under control. Planningsupport for your ECM requirements requires a clear understanding of contentrequirements and how that content supports the organization. This means that,as a best practice, many different organizational roles should have input intothe ECM strategy and supporting features. ü Plan how to manage content anddocuments. ü Plan and configure eDiscovery. ü Plan records management andcompliance. Module 10: Planning and Configuring Web Content Management. 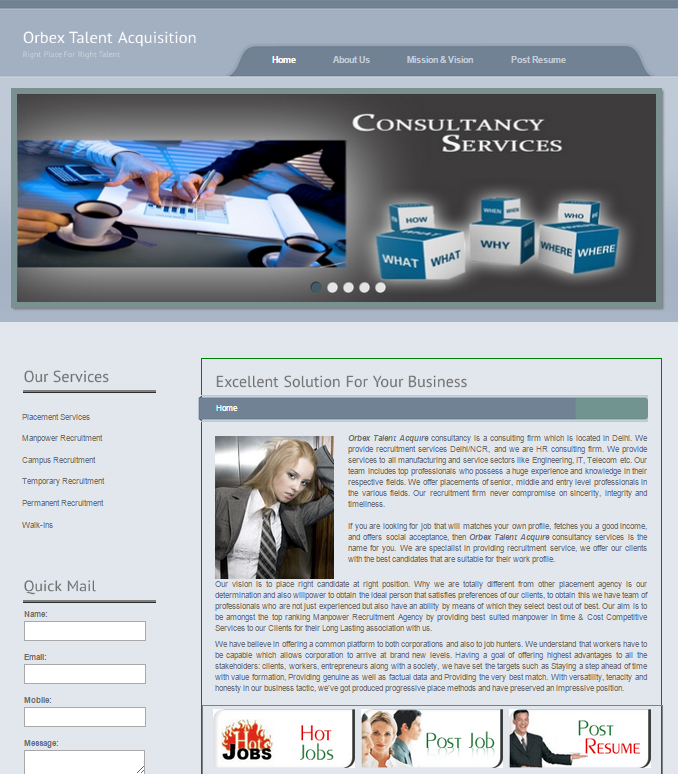 ü Plan and configure a WebContent Management infrastructure to meet business requirements. ü Configure managed navigationand product catalog sites. ü Plan and configure support formultilingual sites. ü Manage design and customizationfor publishing sites. As a SharePointadministrator, it is important to understand the features that are available inMicrosoft SharePoint Server 2013. However, there are often specific functionalrequirements that may be part of SharePoint’s feature set but are not includedin certain site templates. There may also be sites that require repeatablecustomization of lists or libraries, or custom code deployments that arenecessary to add capabilities that are not available out-of-the-box. Developersuse features and solutions to add and control these functionality requirements.Administrators, on the other hand, must understand how features and solutionsare deployed and managed in order to meet user needs in a SharePoint farm. SharePointapps are new to Microsoft SharePoint Server 2013 and provide an additionalcapability to provide application functionality within the context ofSharePoint. SharePoint apps supplement the capabilities of farm solutions andsandbox solutions, while providing a user experience that offers a measure ofself-service customization capabilities without putting the stability orsecurity of the farm at risk. Governance asit relates to SharePoint can be described as a way of controlling a SharePointenvironment through the application of people, policies, and processes.Governance is necessary for all IT systems as a whole, and in particular forSharePoint deployments, which often introduce significant change in businessprocesses, available functionality, and day-to-day working practices. It isimportant to understand that governance must reflect the needs of theorganization and how it should best use SharePoint. Therefore, the ITdepartment cannot be the only body governing SharePoint; input must come fromcorporate sponsorship across the organization. The IT department must still actas the technical authority for SharePoint; however, this is just a single partof how SharePoint governance must be brought together from different parts ofthe organization. Upgrading yourMicrosoft SharePoint Server 2010 farm(s) to SharePoint 2013 is a majorundertaking, so it is important that you carefully plan the upgrade activities.You need to ensure that your upgrade path—moving from version to version—issupported, that you have reviewed the business impact of your upgrade, and thatyou test your upgrade strategy to ensure business continuity. As with all suchactivities, preparation is crucial. In contrastwith earlier version of SharePoint, SharePoint 2013 supports onlydatabase-attach upgrades for content, but it now supports upgrades forsome of the databases associated with service applications. You need to planfor these and ensure that you are prepared for any troubleshooting that may berequired. Another changein SharePoint 2013 is the approach to upgrading site collections. These areupgraded separately from the data and service applications. You can alsodelegate the upgrade tasks to site collection administrators. ü Describe how to plan andprepare for your upgrade. ü Explain the steps involved indata and service application upgrades. ü Describe the process forupgrading site collections. PassingAssurance - If You FAIL at your First Attempt within 30 days aftertraining, We'll PAY the Re-Exam Fees for your Next Attempt on Your Behalf! .NETIQ | Delhi - M: +91-9555580458 | By Mr. Shrikant, offers exclusive Dot net six weeks Training & certification program with live project by Mr. Shrikant, Microsoft Certified Trainer With 10+ Years of Industry experienced professional. .Net Center | .Net Courses In Delhi | M: +91-9555580458 | By Mr. Shrikant, Microsoft Certified Trainer With 10+ Years of Industry experienced professional. BigDataIQ | Delhi - big data hadoop course includes basic to advanced level. This big data course has designed to develop the it professional’s skill development. Big data trainers are big data hadoop certified experts and 10 years experienced working professionals with hands on real time multiple Big Data Projects Experience. .NETIQ | .Net Training Institute In Delhi | M: +91-9555580458 | By Mr. Shrikant, Microsoft Certified Trainer With 10+ Years of Industry experienced professional. .NETIQ | .Net Training Institute In Delhi| M: +91-9555580458 | Asp.Net Training, Advance Asp.net Training, C#.Net Training In Delhi, Asp.Net Intitute In Delhi. PRINCE2 2009 Practitioner Re-registration Certification Exam In Delhi | 100% Pass Guarantee, Free Exam Training Kit will be provided. M:+91-9555580458.All PRINCE2 2009 Practitioners should be re-registered within three to five calendar years of their original certification. This re-registration comprises a one-hour examination set at the same standard as the Practitioner examination.This examination is no longer available in English, but is still available in other languages. PRINCE2 2017 Foundation Certification Exam In Delhi | 100% Pass Guarantee, Free Exam Training Kit will be provided. M:+91-9555580458.The Foundation certification aims to confirm that you know and understand the PRINCE2 method well enough to be able to work effectively with, or as a member of, a project management team working within an environment supporting PRINCE2. The Foundation certification is also a prerequisite for the Practitioner certification. PRINCE2 Agile Practitioner Certification Exam In Delhi | 100% Pass Guarantee, Free Exam Training Kit will be provided. M:+91-9555580458.PRINCE2 Agile enables practitioners to apply the project management principles of PRINCE2 whilst combining the flexibility and responsiveness of agile concepts such as Scrum and Kanban. The certification is aimed at all individuals and organizations involved with project, product and programme delivery and support. PRINCE2 Agile Foundation certificate Exam In Delhi | 100% Pass Guarantee, Free Exam Training Kit will be provided. M:+91-9555580458. PRINCE2 Agile is suitable for anyone who delivers projects, large or small, in an agile context. It is a valuable training and certification scheme for anyone working within an agile project environment, whether they be a project manager, project support or part of the wider project team. Copyright © 2013 Live Project Training. All rights reserved.